Rachel and I did the Puyallup on Saturday for our second year in a row! Rachel was obsessed about finding a UV teeth whiten booth, and I love looking at all the vendors. 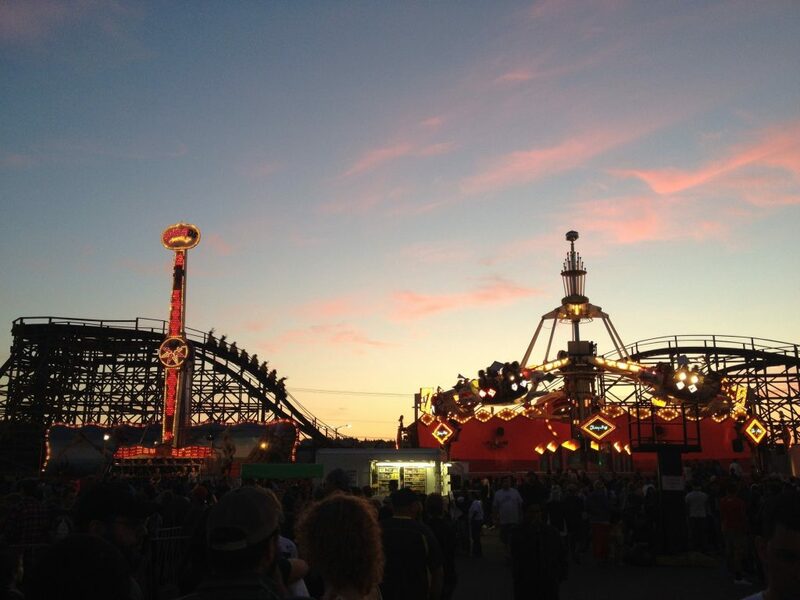 Of course, we had fair food and made ourselves sick on the rides…although Rachel still refuses to ride The Zipper with me. There were two women in front of us in the line to play skee ball who had a giant tamale— it stood about as tall as the women, too. They won it playing ring toss. Naturally this was our next stop. I failed to make any rings using my patent pending spinning technique, but Rachel managed to snag one of the bottles! 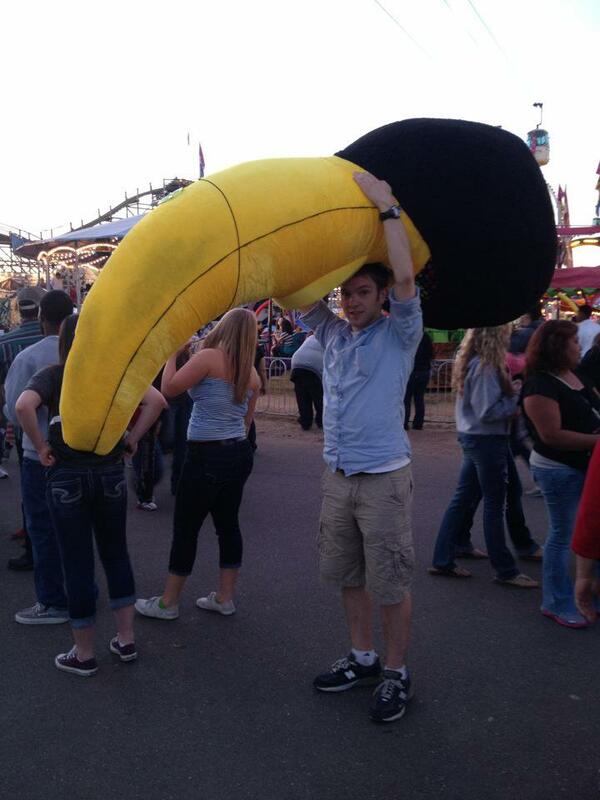 I insisted that we haul the prize around the fair a show of our skill and prowess. 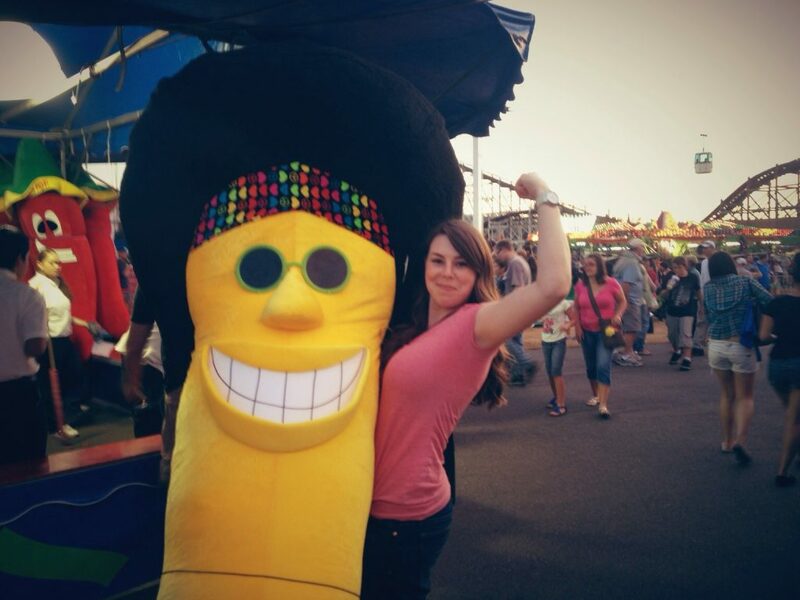 We got lots of, “Nice banana,” comments to which I wanted to respond, “Your mom said the same thing.” You’ll know why I refrained from saying that if you’ve ever been to the fair before. Showing of the fruits of our labor became quickly because labor intensive as oversize bananas are unwieldy and will not fit in your pocket. 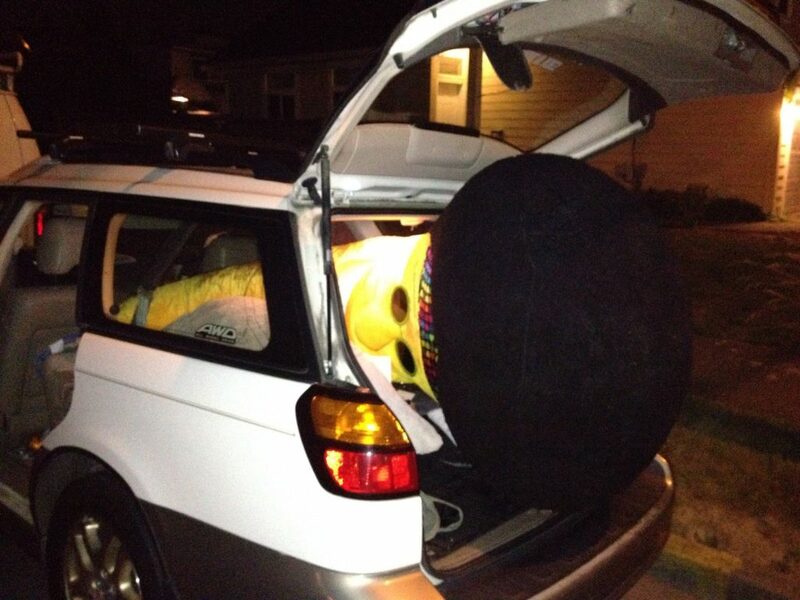 As we made our not-so-quick run to the car to deposit our item, two things started to concern me immensely: was the banana even going to fit in the car; and what were we going to do with such an over-sized banana if we could fit it in the car? When we got home, we did the only reasonable thing we could do: put it in my roommates bed. 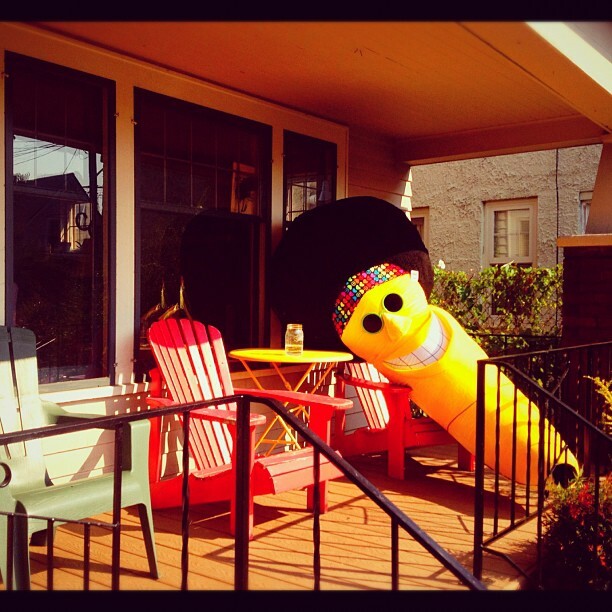 We now have a giant bananna with an afro sitting on my front porch. The default option is to take it to the dump, but that’s seems anticlimactic. Yet, we can’t just leave it there. What do you think we should do with it, preferably integrating a safe disposal technique in the process?